Will disparate interests lead to some type of legislative Grand Bargain in Oklahoma this year that includes an irresponsible tax cut, a reduction in workers’ compensation benefits for injured workers and a plan to codify delays in state infrastructure improvements? Maybe so or maybe not, but conflating these different GOP initiatives seems not only like a recipe for political infighting but also just plain poor governance and lawmaking. Trading, say, a reduction in benefits for people losing their limbs on the job for a delayed but larger tax cut is a grim business. It’s also illogical and ego-based politicking unrelated to the specific consequences of legislation. Struggling to find an agreement on a tax cut and what Republicans call workers’ compensation “reform,” the GOP bigwigs have essentially announced they plan to announce a deal next week that includes majority agreement on the two issues, along with the support of an eight-year, “pay-as-you-go” agreement to renovate some state buildings and infrastructure. House Speaker T.W. Shannon, a Lawton Republican, said, “We just thought it made sense to make it an announcement altogether.” Of course, there’s been no actual announcement yet. This is sort of an announcement about a pending announcement, which makes very little sense. The principal players include Shannon, who wants to take the slow path to infrastructure improvement, Senate President Pro Tempore Brian Bingman, a Sapulpa Republican, who wants big changes in the state workers’ compensation system and Gov. 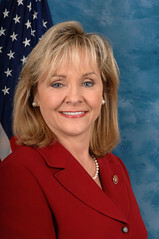 Mary Fallin, who wants a tax cut, any tax cut it seems, to seal her GOP bonafides. The vested interests come complete, no doubt, with big and easily-bruised egos, or is that too much of an assumption? Currently, on the tax-cut front, the Senate is negotiating House Bill 2032, a Fallin-supported measure that initially cut the top income tax rate from 5.25 percent to 5 percent next year without any offsets. The Senate, which had its own plan rejected by the House, then rewrote the bill. The new plan is to cut the rate to 4.95 percent, but not until 2015, and to sunset some tax credits. A Senate plan to “reform” the state’s workers’ compensation system, contained in Senate Bill 1062, is now undergoing negotiations in the House, which is rewriting the measure. The bill is ostensibly about changing the system from a judicial process to an administrative process, but it also reduces benefits for those who get injured on the job. I wrote about it here. So the Senate is rewriting the House’s tax bill and the House is rewriting the Senate’s workers’ compensation bill. Meanwhile, Shannon’s infrastructure plan, House Bill 1910, which centralizes state property oversight and creates a long-term plan to renovate buildings, flies under the radar given the fact that the state Capitol building is crumbling to pieces before everyone’s eyes as Republicans announce their plan to make an announcement. All these initiatives should be considered on their own merits without political tradeoffs unrelated to their purposes and consequences. So here’s my own announcement of some common sense ideas: The tax cut should be put on hold because of the future loss in state revenue until the economy completely recovers from the Great Recession or until lawmakers get serious about overhauling the entire tax code. Any workers’ compensation bill that under the guise of “reform” severely reduces benefits for injured employees deserves to be defeated just for that reason alone, especially in Oklahoma. Why even implement a long-term, infrastructure renovation plan until the state Capitol building is repaired? « How Many Job Injuries Go Unreported?